That morning in Lithuania, I woke up at 04:33. Early rise, you say? A late one, actually! My flight was scheduled to leave for Athens at 6 a.m., and there I was, undressed, unpacked and in panic. I overslept! How on Earth did this happen? Well, on Earth, the pre-ordered taxi that was waiting for me in front of the guesthouse in central Vilnius, was long gone. I wasn’t sure yet if my hurrying up, speedy packing, desperate attempting to zip my overfilled bag, and throwing away my flip-flops into the trash bin to make it all sit in place, made any sense. Seeing the empty street through the window did not fill with optimism. Could I find a new taxi at this hour? Could I make it in time for the check-in at all? Should I just return to the warm bed that was obviously quite successful in seducing the tired sleepers? In decades of traveling, this was the first time I felt my crazy run for the soon departing flight was in vain. To comfort myself, after I woke up, at least I knew where I was! That was some progress, in all the more common experiencing disorientation while traveling. I knew that, according to one American study, 1 out of 7 people experiences confusional arousal upon waking up, popularly called sleep drunkenness. For some seconds or even minutes (15-minute confusion cases have been reported), they don’t know where they are, when they are or perhaps even who they are. Experts analyze this phenomenon together with other sleep disorders. I wasn’t able to find any relevant medical information on similar confusional arousals happening when no sleep takes place! The truth is that I experience disorientation of sleep drunkenness during normal, awake hours. As I couldn’t find much official information about similar cases online, I decided to name the thing myself and share it. Hopefully, sharing it in public could confirm that I am not alone. So I am asking you: have you ever experienced – travel fogginess? What is travel fogginess, you ask? It is a sudden fog curtain of disorientation that temporarily blocks the full comprehension of the environment in frequent travelers. At least I would hope I can talk in the plural. One could argue that it’s just a first and mild stage of Alzheimer. Or suggest that I am probably taking some drugs with bad side-effects. But what if it really exists and affects more people than we think? We cannot just name it Ivan Kralj syndrome! There has to be more of us, no? My first days in Athens were marked with the feeling I couldn’t get past. This is Rome! There was no particular antique monument or special Mediterranean scent that would trigger the confusing idea of Athens being the Italian capital. Equally, in Vilnius, I was occasionally believing I was in Amsterdam. Those two could probably never look similar to anyone who visited both of them! So where do these ideas come from? I was in Rome in February, and I was in Amsterdam in April. It seems obvious to me that it is not the architecture of the place or other cultural markers confusing me. Could it be that my jetlagged brain is peddling on my past experiences while trying to make sense out of the environment that changes so quickly or too often? “It is completely normal to experience confusion in the state of fatigue. All you need is some proper rest”, one Greek psychologist told me. He explained that there could be a sheet blocking my full awareness in the times of tiredness. When all my brain sees is a blank board with no information, it tries to fill it up with what it knows. “It’s in Greek”, he answered. 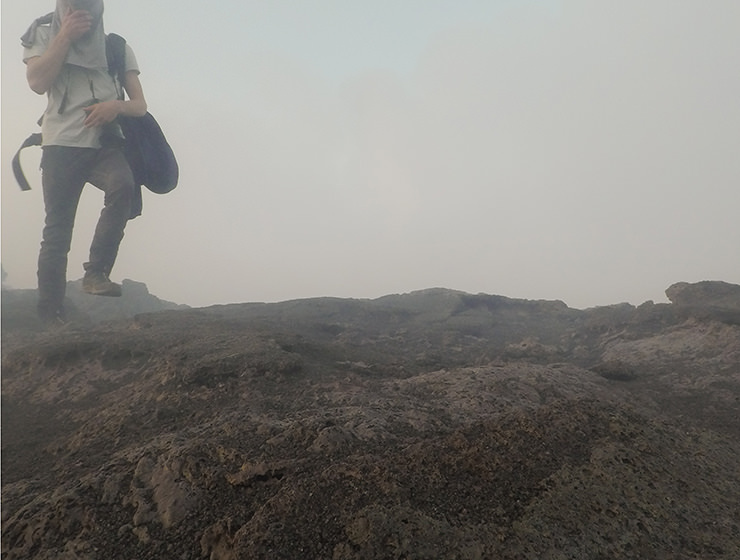 See, the phantasmagorias of my travel fogginess can be quite convincing! Airports are especially disturbing places when my disorientation episode happens. “Where did you come from?”, the strict-looking border control officer asked me once, as he was about to mark my passport with a stamp. “Erm…”, I looked at him blankly, feeling the eruption of anxiety and panic momentarily overwhelming me. Would they now detain me? Interrogate me? Search me? Would they think I stole the passport of the real Ivan Kralj and forgot such an essential information – the port of my departure? Really, where was I for the past two weeks? At that particular moment, my brain struggled hard to figure out the answers to these rather simple questions. Sometimes the travel fogginess can happen during the baggage claim. More than once, I found myself gazing at the screen numbering the baggage belts where the luggage of particular flight was about to get delivered. And none of the flights seemed familiar to me. Where the hell did I come from? Then there is also the classical sleep drunkenness, as part of travel fogginess experiences. While changing countries, towns and villages, surfing beds, couches and time zones, the interior of the place I sleep in changes quite often. Doors can sometimes be on the right side, sometimes on the left. If I wake up in the middle of the night, I may conclude that the wardrobe doors are the doors of the room. My brain then tries to connect the position of the doors, windows and furniture with the rooms it is familiar with. It might find the connection or struggle with it. As so-called hypnagogic hallucinations can project the imagined pieces of furniture at any point in space, figuring out where this place belongs becomes a nightmare. Maybe not as realistic as the one in Freddy Krueger’s Elm Street, but it certainly does blur the border between dream and reality. Somehow I’ve learned to cope with the slow acceptance of reality when waking up. My brain spontaneously comforts itself that it should all be fine if I just give myself some time. The unsettling feeling of disorientation especially happens on my first night in the specific region. During my last Asian tour, the first night in every country, from Vietnam to Indonesia, was marked by a nightmarish wakeup during which I would call the fellow roommates for help (it happened that I always stayed in hostel dormitories on the first night). 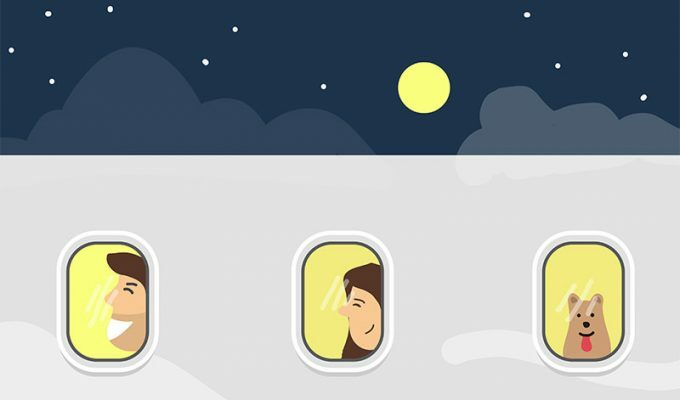 Jet lag might be affecting our feeling of drunkenness, even if we haven’t drunk one drop of alcohol on the plane! When I was in Cambodia, there was a Croatian friend sharing a room with me, and I couldn’t cope with the fact that the woman I woke up spoke – Croatian. I couldn’t figure out who she was, and I was genuinely surprised that we could communicate in my native language. Of course, out of all these nightmares, I was waking up with an English cry for help. My brain was obviously aware that I am far away from home and speaking Croatian would not make much sense. The phenomenon of sleep drunkenness has attracted the interest of researchers only in recent years. Even if these strange sensations are often linked with other sleeping disorders (it is examined in parasomnias category, together with sleep paralysis, sleep walking and talking, nocturnal groaning and nightmares), it is also true that sleep deprivation is not correlated to waking up confused. In other words, sleeping more or less might not solve the problem. The real cause of temporospatial disorientation (confusion about where or when we are) is still a mystery. If we add to that my argument that the phenomenon is not related only to sudden waking up from the early stages of deep sleep, but that it can also occur in broad daylight, the researchers should, I believe, extend their interest to the phenomenon I called travel fogginess. I am not a medical expert, but if I can be a layman interpreter, I would say that in both cases brain suffers in the process of adjustment between the reality of action and the reality of rest. In the same way that we travel from one state to the other daily (from the state of wakefulness and tiredness to the state of sleeping and restoring ourselves), often shifting in our whereabouts could be so exhausting that travel fogginess can happen while we are fully awake. Our brain does not enter this shuffle only when we sleep. It encounters problems in interpretation whenever it is tired – awake or sleeping! I know that lesson number two of what I’ve learned in my first year of blogging said “Slow down your traveling”, but obviously I still have to learn how to follow my own bits of advice. 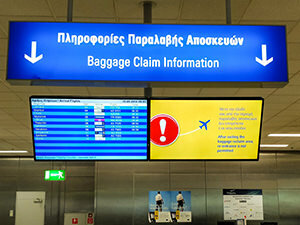 In Greece, I talked about the travel fogginess with Thomas Kleovoulou, a retired pilot who was often experiencing brain freeze when he was flying for Emirates. Constant changes of time zones affect you in a way that you adopt the new patterns as normality. Is traveling something we need to take vacations from? “When traveling, you infuse your brain with so many information that sometimes it has a hard time processing them, if you haven’t secured enough time to rest. I was experiencing this type of sensations all the time when I was flying, but it all calmed down after I grounded myself”, says Thomas while he takes a sip of coffee on the terrace of Kastalia Hotel in Delphi. He is the general manager of the property and runs it with his wife Basak, a former flight attendant. After 11 years in the air traffic industry, this pilot retired at the age of 32. His wife stopped working when she was 34, after only five stressful years in the air. 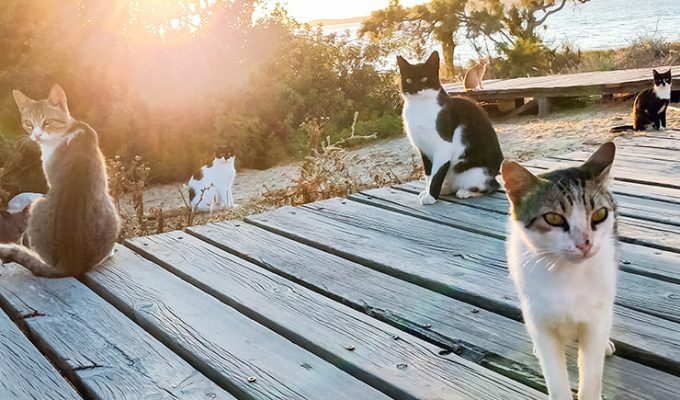 They both found comfort in the somewhat easier pace of this picturesque and calm Greek town on Mount Parnassus, the famous sanctuary since the ancient times. But what does that tell us? Does it mean that all seasoned travelers will once burn out and need to look for similar refuges? How dangerous can travel fogginess become? In the end: is traveling something we need to take vacations from? Merely half an hour before taking this picture, I was still sleeping. This must have been the quickest trip from the hotel bed to the plane seat! I even managed to visit the lounge before taking off! When sleep expert Professor Leon Lack was asked to explain the cause of the feeling of the extreme confusion and disorientation in sleep drunkenness, he pointed out at the body’s “roller coaster sleep cycle”. To make our life bearable, our body switches off certain functions during the sleep. This can then cause different unusual experiences if we interrupt the sleeping at a particular moment. For instance, when the brain goes through the increased processing of information which creates dreams, our body is actively paralyzed, so we wouldn’t act out our dreams. If we wake up during REM sleep, we could experience temporary muscle paralysis. Well, do I need to say that I’ve checked that box as well? If we would transfer the parabola of a roller coaster onto the life of frequent travelers, couldn’t we come to the similar conclusion, even if we take sleep disorders out of the equation? If we are constantly exposed to new information (similar like when dreaming), could it be that our brain’s GPS can also get paralyzed when this constant flow of information gets overwhelming, without affording the real rest to ourselves? Obviously, when I almost overslept my flight from Vilnius (or was it Amsterdam? ), my body was protesting against the idea of constant moving and excitement. I did run like Usain Bolt that morning, so my body, wanting to rest, did not win in this conflict. 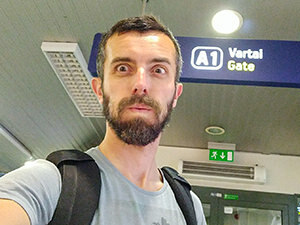 From waking up in the center of Vilnius, confused and unprepared for flying, with lost taxi connection and unpacked luggage, to arriving at the airport and checking-in, it took me unbelievably quick 20 minutes! But it is certainly a roller coaster I wouldn’t like to hop on again. 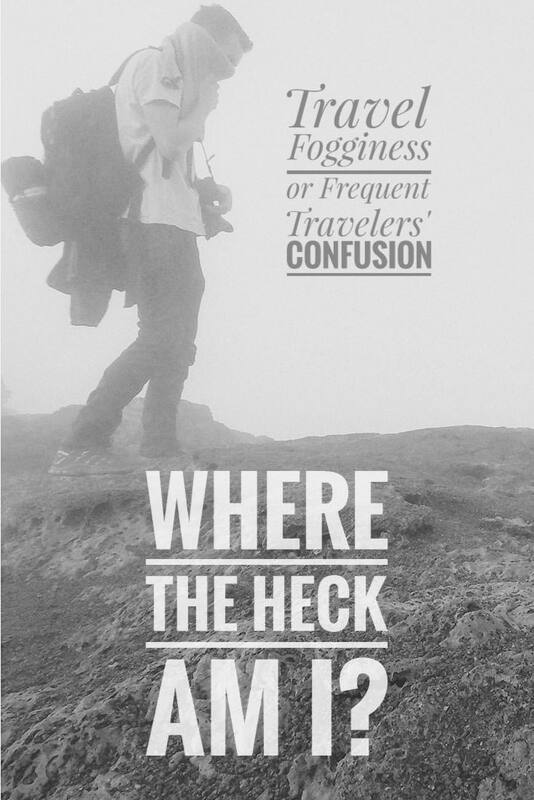 Have you experienced the phenomenon I named travel fogginess? Please confirm that the foggy state of mind is not just the first phase of Alzheimer! 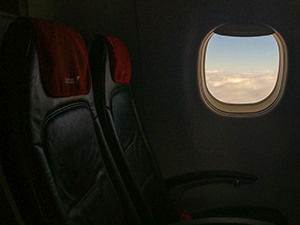 If you are a frequent traveler and experience disorientation during your travels, I would appreciate if you could share your example in the comments! Yikes! This is extreme. You need to rest, Ivan, like actually stay in a spot long enough to just rest instead of hurrying on to the next city/country. That’s your brain giving clues. OTOH, I have experienced a milder version where I was so exhausted, I overslept and when I awoke, didn’t know what day or time it was. Lol. I felt like I had skipped days. Another one wasn’t sleep. I was fully awake but skipped a day at work! I I thought it was a Friday but it was Thursday and I told everyone in the office “see you on Monday” thinking it was Friday till I was corrected. I don’t remember the previous day, Thursday. I was also counting down the days to leaving that job so maybe that was my excited brain at work, who knows? Great post! It is a paradox indeed: I know my diagnosis, and I know my cure. You are right – slowing down traveling would help, I am sure, but obviously knowing this is not enough to change habits. I should think about how to go into the action mode! I am glad it is not just me!! I sometime freak out when I wake up and don’t recognise the room for a while! I hope it’s comforting to know that every seventh person experiences what you describe! I can certainly relate to the fogginess that comes with travel but I haven’t quite experienced the feeling of not knowing where I am. It may happen one day I’m sure. I’ve woken up with the expectation that I should be somewhere else that’s for sure. You’ve given a really in depth description that has piqued my interest. Thank you. Thanks for your comment, Aysha! I am glad you did not truly experience this state of fogginess, and I hope you won’t. Travelers who do not experience this are for me experts in handling the organization of their travel. They probably lead a much healthier life in terms of adequate proportions between work and rest. There is a lot to learn from this! I am glad though that the topic intrigued you! This is something we should all, especially if we travel, take into consideration when organizing our life and travels. If we care in advance, I am sure we can control the consequences better as well! I do get sleep drunkeness and daytime fogginess (both unnerving) when changing one or more locations. A nightlight in the motel room helps me to not get hurt walking into an unexpected desk etc. Once home, I can’t find things and am surprised to “duscover” things I didn’t remember I had, can’t understand what “all the stuff in that box is or why I’d even have the box, remember my routine, or recognize my own bedroom in the middle of the night (why is there a wall in the way?). Thankfully I eventually figure it out, but meanwhile it’s a little frightening when everything seems so foreign. . The stress of life (and the stress of the traveling life) can indeed take its toll on experiences as you had. I hope you are reserving enough unwinding time with no pressure and expectations, and without constant moving around, so the occurrence of these events hopefully drops down.